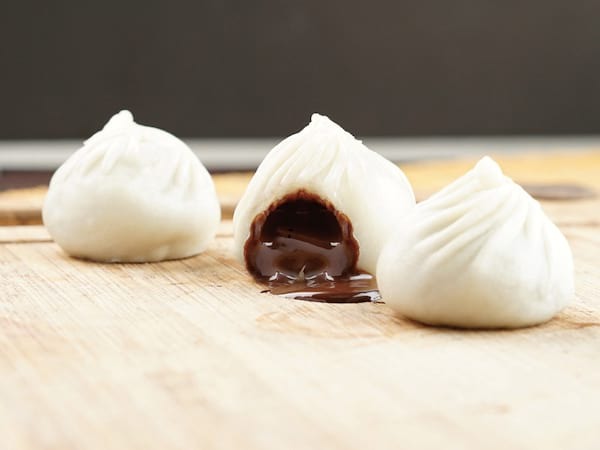 Celebrate Din Tai Fung's Xiaolongbao Day on November 28 with One-Peso Chocolate Lava XLB! For Din Tai Fung's 2nd Xiaolongbao Day, they are bringing back their PISO(!) Chocolate Lava Xiaolongbao promo. Chocoholics, prepare your loose change and save the date: November 28! 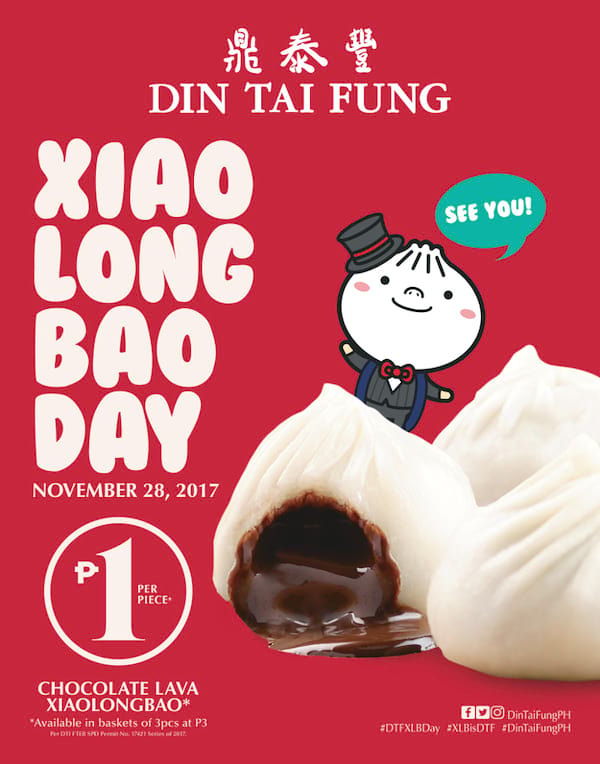 In the Philippines alone, more than 4-million XLB dumplings have been sold since opening day, and on tuesday, November 28, 2017, Din Tai Fung will celebrate its second annual Xiaolongbao Day. Their best-selling dessert, the Chocolate Lava XLB, returns for the festivities and will be sold for only P1 per piece. 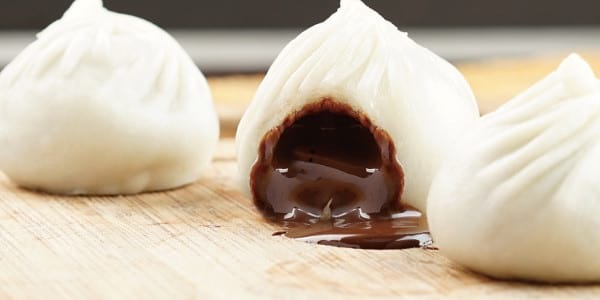 Celebrate Xiaolongbao Day at Din Tai Fung to munch on these Chocolate Lava XLB for P1 a piece! 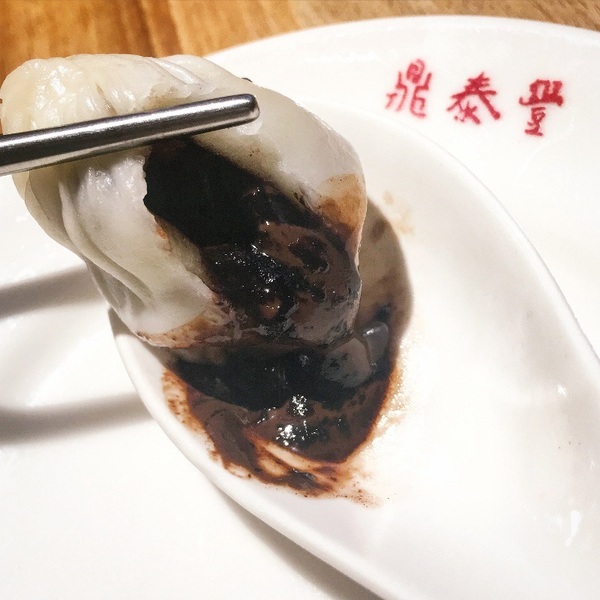 Last year was the first time they rolled out the Piso Chocolate Lava XLB promo and over 5,000 dumplings were wiped out. 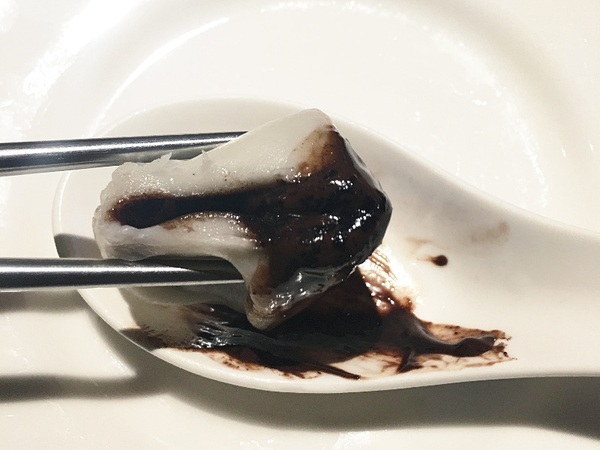 This dessert dumpling is a proud Philippine creation that launched during Din Tai Fung's grand opening in the country. It became so popular that now, Din Tai Fung has placed it on the menu of their flagship shop in Taiwan! This piso promo is only available on November 28 across all Din Tai Fung branches in the metro (both Megamall and BGC branches) until supplies last, so round up your fellow chocoholics for this awesome one-day-only sweet treat! The Php1 Chocolate Lava XLB is valid with a purchase of any xiaolongbao at regular price. Each order comes in baskets of 3pcs (that’s Php3 for one basket!) with a maximum of 9 pieces per person at a time. 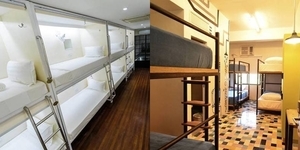 Available in both Megamall and BGC. For dine-in only, no leftovers (leftovers will be charged at regular price per basket), no take out, and available only until supplies last. Din Tai Fung BGC is located at Bonifacio Hight Street Central BGC and at Mega Fashion Hall, SM Megamall. Visit www.dintaifungph.com, follow Din Tai Fung Philippines on Instagram (@dintaifungph) and like on Facebook (/dintaifungph).